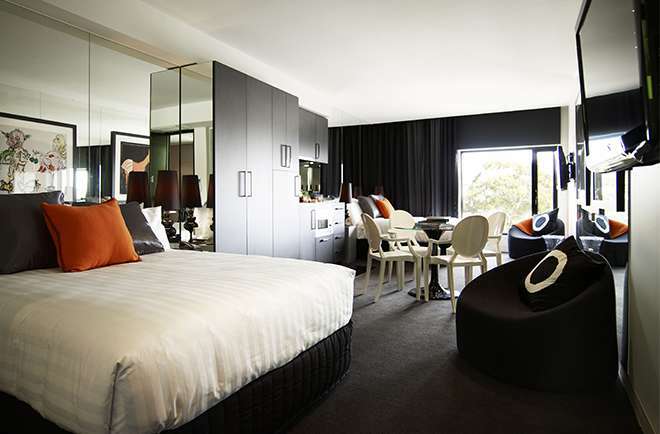 For comfortable Prahran accommodation, the Deluxe Studio Suite Twin ticks all the boxes. 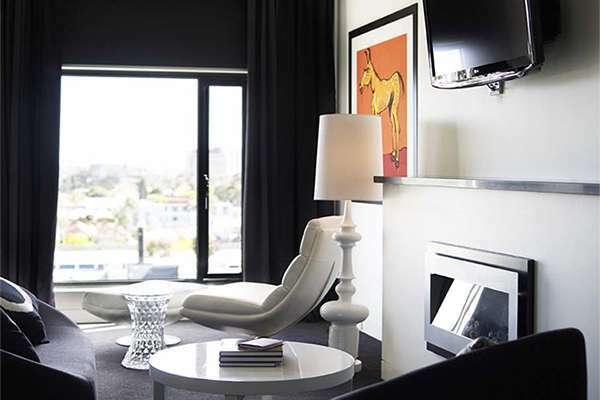 The suite comes complete with designer furnishings, contemporary living space and your own private library of Adam Cullen artworks. 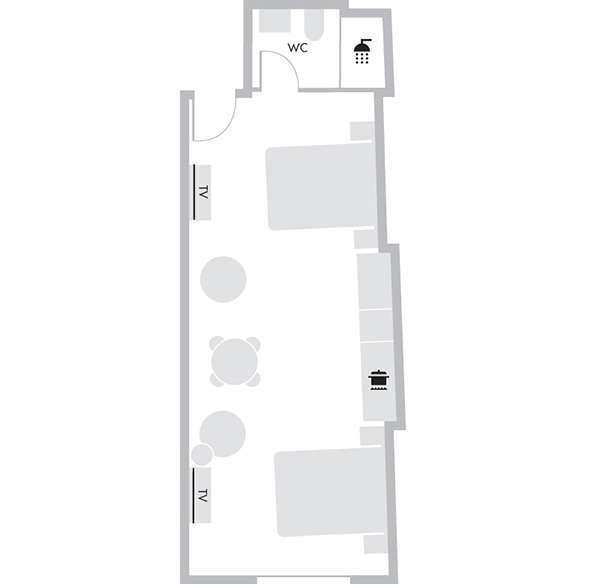 Our Twin Deluxe Studio Suites feature complete kitchenettes, stylish furnishings and lyrical prints by Adam Cullen. Sleep soundly in your Art Series Signature Queen beds, then block out the morning or wake up to natural light and vibrant energy of Cullen works. 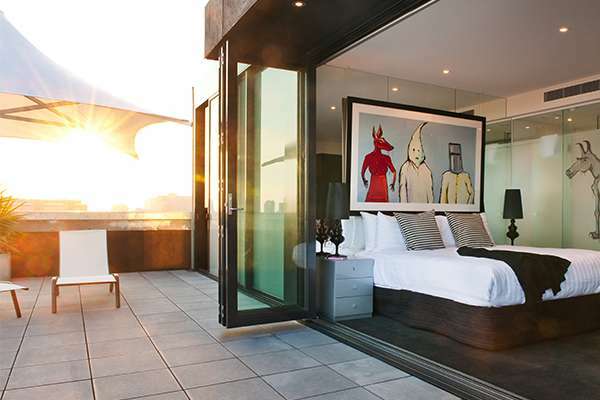 The spacious open-plan living and working space provides the ultimate Prahran accommodation for groups of up to 4.